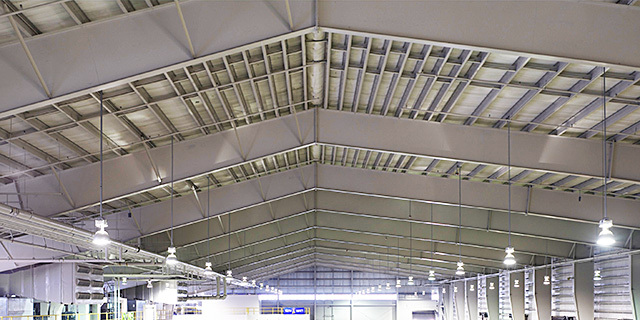 Pre-engineered structural steel framing may be used for Groups 1, 2 and 3 facilities; Installation-appropriate thermal envelopes, materials and detailing are required. 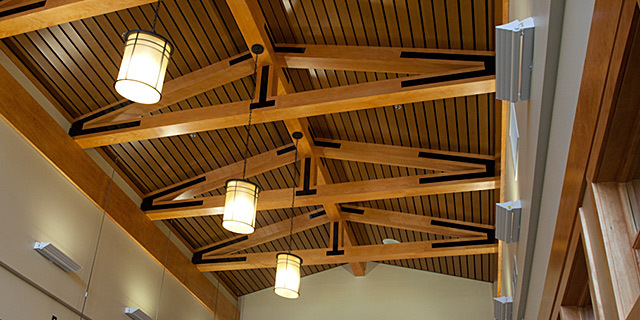 Select economical structural systems that integrate roof and wall systems. Narrow buildings 60’ or less in width with column-free interiors are preferred for office, administrative and personnel spaces; when interior columns are required optimize the structural grid layout for open-plan arrangements. 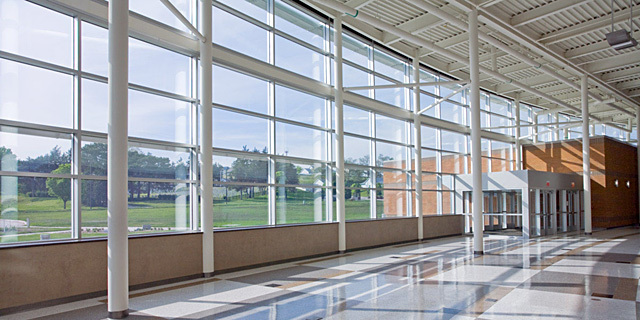 Fully coordinate structural grids with exterior window systems to align columns with window frames or wall systems. 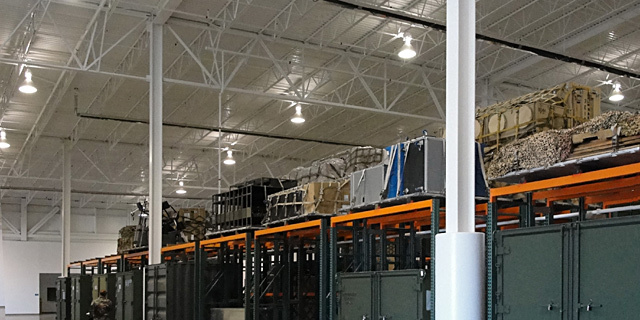 When structure is exposed provide an organized appearance and coordinate with mechanical, electrical, plumbing, fire protection, information technology, and communications systems. Limit the use of specialty systems (such as space frames, vaults or domes) and of structure as a visual feature. 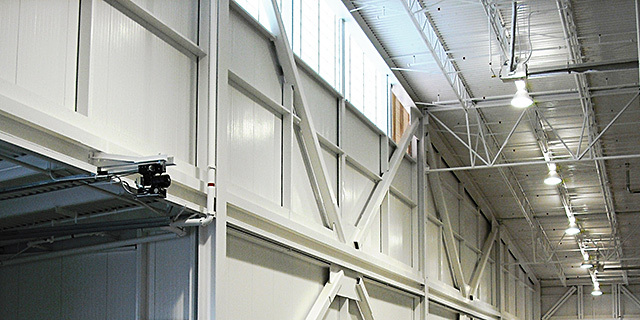 Cost-effectively design interior bearing walls as thermal mass. 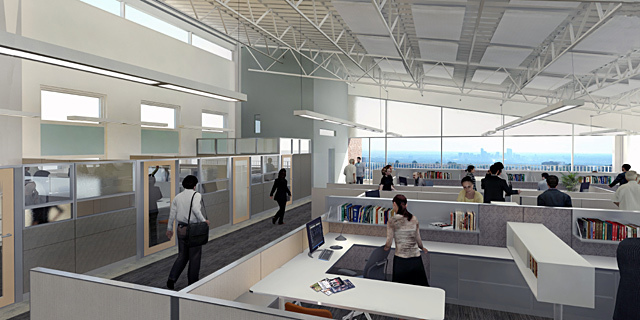 Integrate long-term flexibility into the structural design of new facilities. Minimize interior columns and bearing walls; combine required bearing walls with building core elements whenever possible. 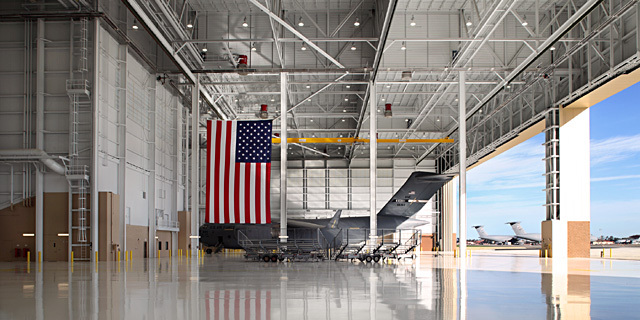 Provide economical structure without compromising flexibility or a quality, professional appearance corresponding to the Facility Group designation. 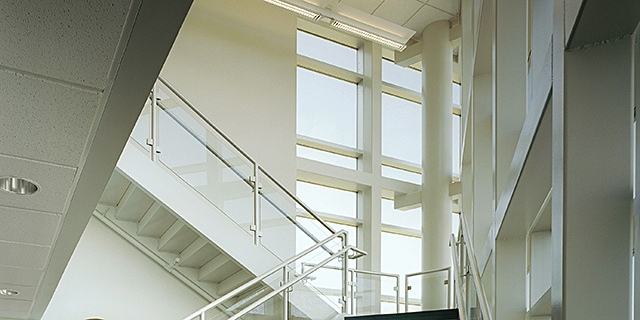 Coordinate framing members and bearing walls with exterior wall systems for an organized appearance. 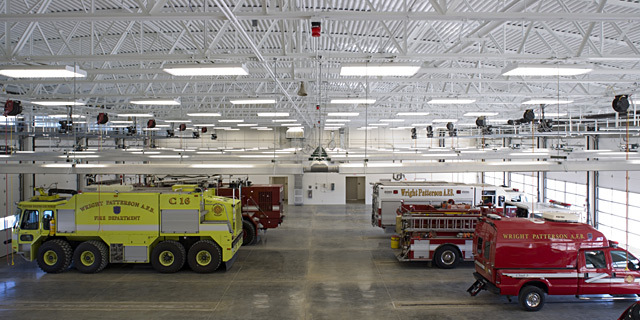 Fully integrate and accommodate mechanical, electrical, plumbing and fire protection systems when the structure is exposed as the finished ceiling. Per UFC 1-200-02, use an integrated design approach to cost-effectively incorporate passive strategies into structural systems. The use of thermal mass in permanent load-bearing walls at building cores and in floor and roof decks is encouraged. Integrally colored masonry and concrete are preferred for thermal storage.